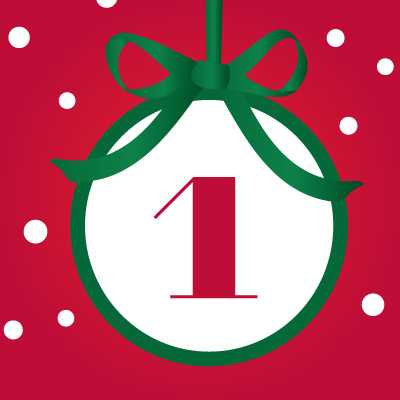 I will be posting a new post every other day, starting today (November 20th) ending on December 12th – how fitting! My first present is going to be a gifted (DIY) idea repurposing a wooden tray I found at Goodwill for $2.00 . 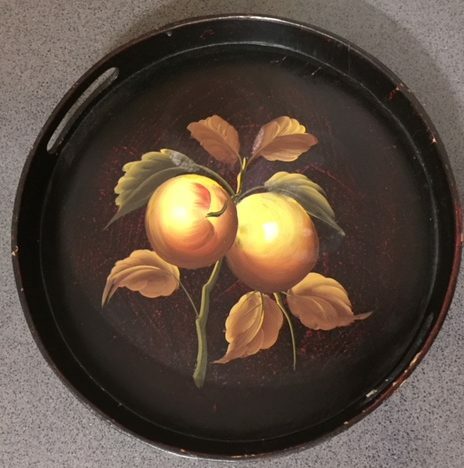 I really wish I had found a partridge to go with my pear tray (groan), if I had, I might not have painted it but instead made corny jokes all through the season. I would have spray painted the tray outside but in my neck of the woods it is already winter soooo I hand painted it (6 coats) with white craft paint. It took forever to cover the pears. Maybe I should have found that partridge. If you don’t have a Cricut you could stencil words or buy stickers to embellish. I love the way it turned out. This tray is very versatile and can have many uses. 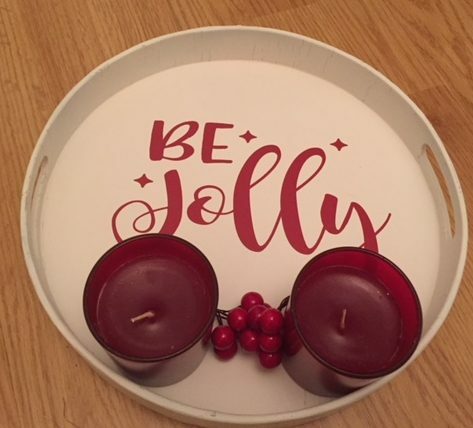 I chose to add a couple of candles and some sprigs of holly with the tray as part of the gift. I sure hope the recipient likes it as much as I do. I cannot wait for you to come back and see all the fabulous things I will be giving as gifts this year. Thifted, gifted and vintage gifts are A WandafulThing, unique and one of a kind. Here is a recap with links to all the Wandaful Things I created last year (2016). 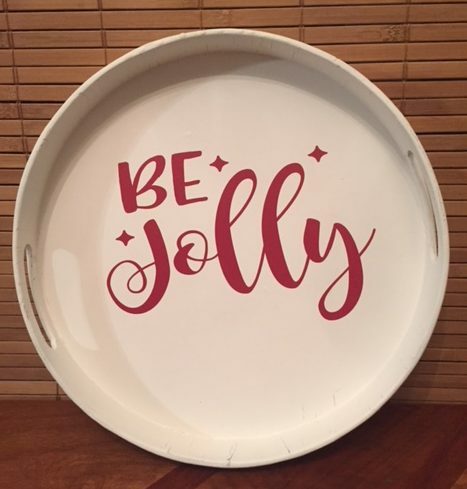 This entry was posted in Bake, Decorate, DIY, Food, Make and tagged 12, 12 Days of Christmas, be jolly, challenge, cheap, Christmas, Crafts, creativity, days, Decorate, DIY, easy, Food, gift, gifts, ideas, inexpensive, partridge, pear, recycle, red, repurpose, reuse, simple, tray, vinyl, white. Bookmark the permalink. The tray looks lovely. Did you have to do a lot of sanding? What type of brush? Foam? Will be looking for wooden trays at goodwill now! I can’t believe how good it looks. I love the vinyl cutouts. Great Christmas addition. Looking forward to seeing more! !